Municipalities are the front lines of government. Caring for communities – managing growth, ensuring safety, providing services – is an ever-growing list. The demand of balancing revenues with infrastructure needs is taxing on our civil servants and civic engines. Funding challenges in recent years means prioritizing projects. Most cities in Michigan now need to meet state department of transportation standards in order to be eligible for federal funding for roads. But we know that no two cities are alike. Spalding DeDecker can act as a bridge (as well as being able to design one) between levels, layers, and teams of people and processes. We understand the relationships among agencies to keep projects moving on schedule and within budget. We can act as project managers or as an owner’s representative, and provide project oversight, administration, and inspection services. Spalding DeDecker is well-versed in federal funding requirements. We keep current on construction techniques and rules and regulations. We work within budgets and schedules so the public gets its money’s worth. 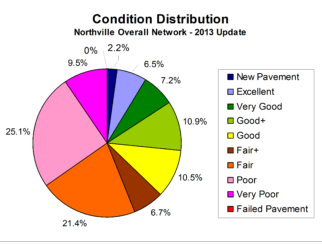 How can municipalities increase the value of one of their largest assets – pavement? Keeping people and vehicles safe and moving is a primary concern of municipalities. 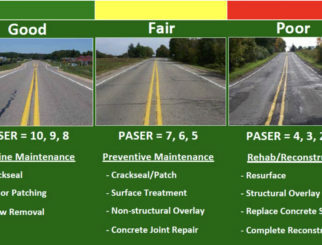 A custom Pavement Management Plan is the key to maintaining great pavement. Low cost and longevity depend on quality design, regular maintenance, and making proper repairs. 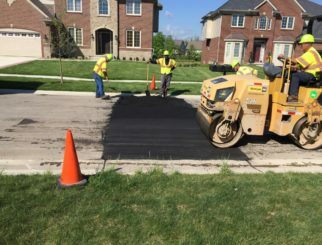 Spalding DeDecker specializes in developing cost-effective plans to manage and repair all forms of pavement – roads, paths, parking lots, and sidewalks. Repair costs can drop from $5/SF to 10cents/SF, adding a firm footing to any project’s bottom line.